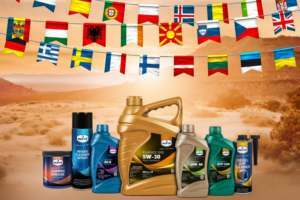 Eurol TTX Supreme | Eurol B.V.
A synthetic oil, especially developed for air- and water-cooled 2-stroke engines, with or without a catalytic converter. The product is also very suitable for injection systems. Combustion chambers and scavenging ports are kept clean from deposits and protected against wear and corrosion. Spark plugs stay clean and perform as required. The TTX is easily mixed with petrol to a homogeneous pre-mix. It prevents from scuffing and deposits on pistons and in the exhaust system while it reduces smoke.